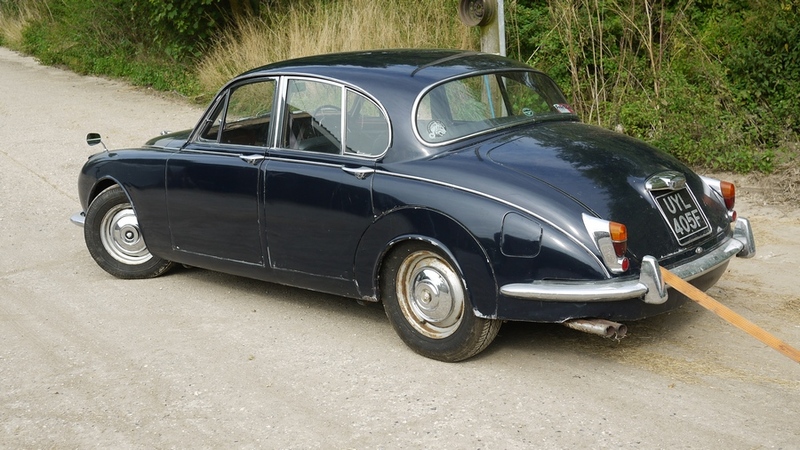 Here we have a rather lovely Jaguar 240 from 1967 (often referred to as the Mk2). 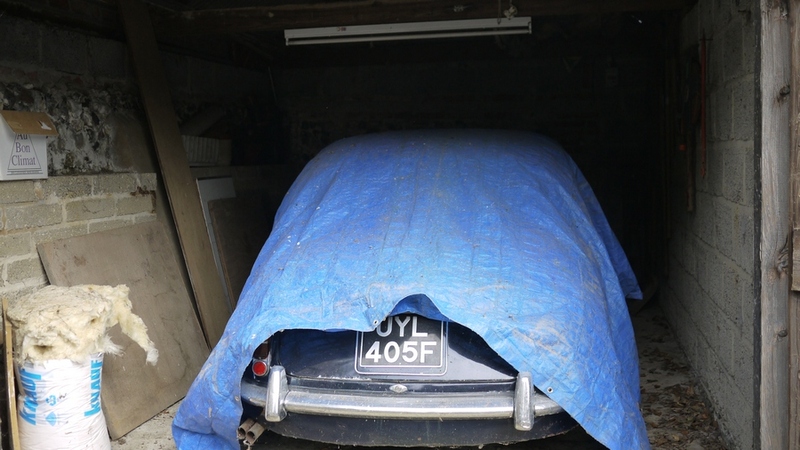 She is a 2.4 manual in dark blue with grey ambla interior and ready for restoration and then return to the road. We very recently retrieved her from dry storage following a very long rest. She comes with a lovely large history file and handbooks. The last owner had her for many many years and decided to let her go and allow a new owner to return her to the road. We inspected her at close quarters and she is surprisingly solid underneath. 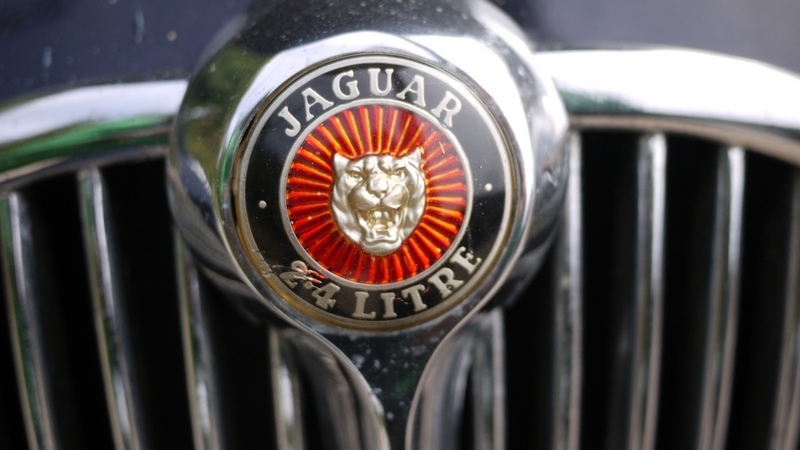 She is solid in the areas that make for an expensive restoration and therefore she must be considered above Jaguars that are ground up rebuilds. This one truly isn’t. For example the ‘crows feet’ at the front of the car appear to be very solid, as does the underside generally. 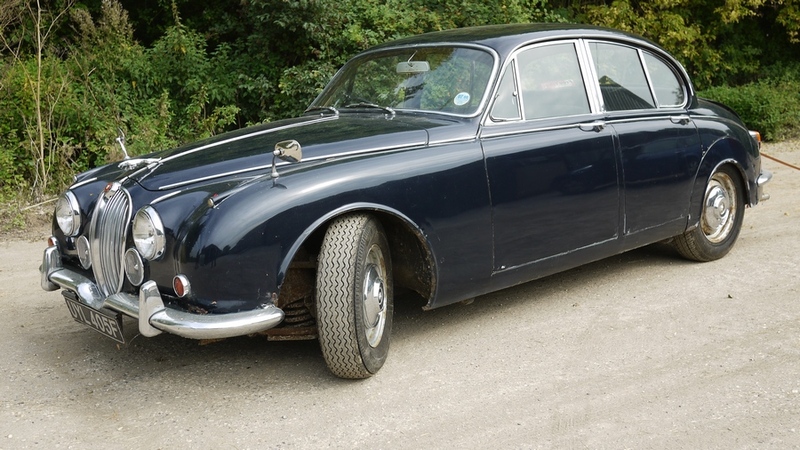 Obviously you are well advised to inspect this old Jaguar 240 prior to buying her. The car was driven into the garage many years ago and didn’t have any known faults at that time. 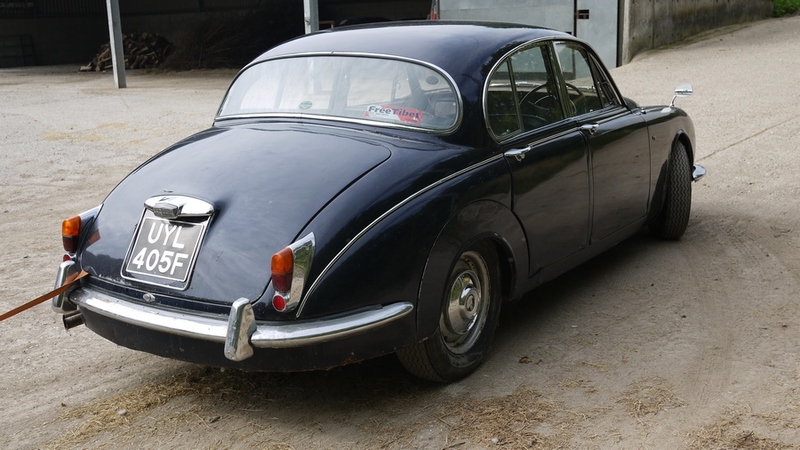 In fact the car was often started and driven out for a clean and a coat of wax over the years. Having just retrieved her, we can report that both the clutch and brake pedals go to the floor and therefore its safe to assume the respective master cylinders would be required as part of a very obviously required brake system overhaul. The engine freely turns and the gearbox does select gears. The hand brake operates as it should. The interior is fully complete and would obviously require a through clean and restoration as needed. The wooden dashboard requires repair/refurbing and the headlining will need replacement. The ambla seats are generally in good order albeit the drivers seat has some holes in it. The carpets look decent enough, as do the door cards. The dark blue coachwork is super straight and also in pretty good order and would easily repair and look wonderful after fresh paint. The chrome work is in good shape and would clean up very nicely. The chrome has some patina as expected but not in dire need of essential replacement. The tyres stay inflated but clearly would need replacement following the cars long sleep. The mileage is just over 98k and supported by the paperwork. 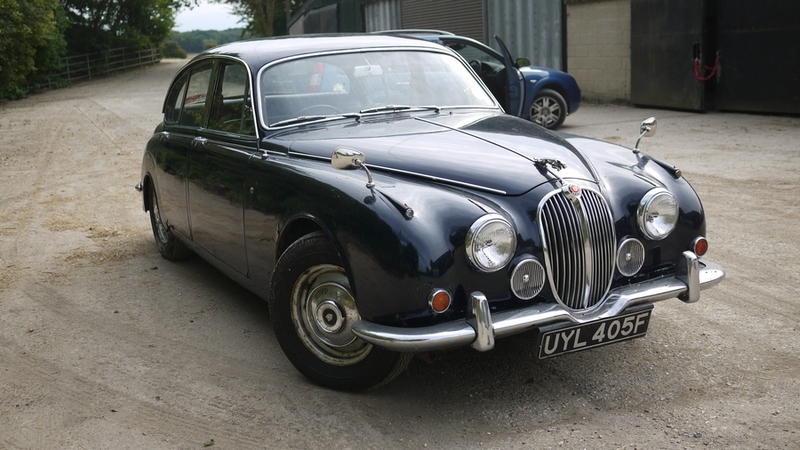 The Jaguar 240 is currently dry-stored in our barn and can be further stored for a very competitive rate should you require this service while you decide where and when to carry out the restoration work. We also offer highly competitive nationwide delivery to your door and we can do this very quickly if so required. 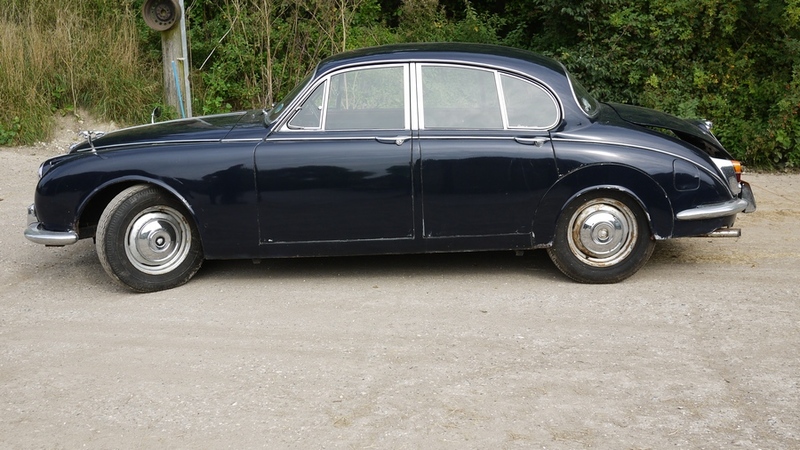 Please do not hesitate to call Danny on 07931 720025 if you have any questions or to arrange a viewing of this old Jaguar 240.